All things considered, the internet is a relatively new phenomenon, and one which continues to evolve at lightning speed. For many families, navigating the world of broadband is somewhat more confusing than navigating the web itself. Not that there are so many options on packages, from phone and television to broadband only deals, the average family can get easily bogged down in the fine print and packaged deals being peddled online. Here are a few tips for finding the package that’s right for your family. It’s a good idea to begin a broadband search with an accurate idea of how much bandwidth you use monthly and what (if any) kind of package you’re interested in procuring. For some families, bundling television, phone and internet makes the most sense and is economically beneficial; for others broadband only packages are the way to go. It’s most important to find the deal that suits your specific family. There are all types of broadband packages including heavy-use broadband for those who download regularly; business broadband for families with members who work from home as well as mobile broadband which facilitates easy access on the go. Often there are family-specific packages that can accommodate multiple devices (including gaming consoles). Broadband products have quickly become so popular because they boast super fast connection speeds — but how fast is fast? And what kind of speed does the average family really need? In many cases companies boast speeds that are by no means guaranteed in their advertising. Broadband speed relies on many factors and is often sold in tiers that relate directly to speed. Super fast broadband is the fastest option and typically comes with unlimited data allowance which is something of an internet consumption free-for-all. Families pay a premium for speed but the second tier fast broadband is a reasonably priced (and effective) middle-ground option that allows families to stream HD content and upload movies and games. While this option may be a bit slower during peak times, the disruption is far from dire and the costs are very reasonable. Navigating the world of broadband is something of a moving target. Keeping tabs on how much data your family uses monthly as well as what levels of speed are realistically required will help every family find the broadband package that’s right for them. 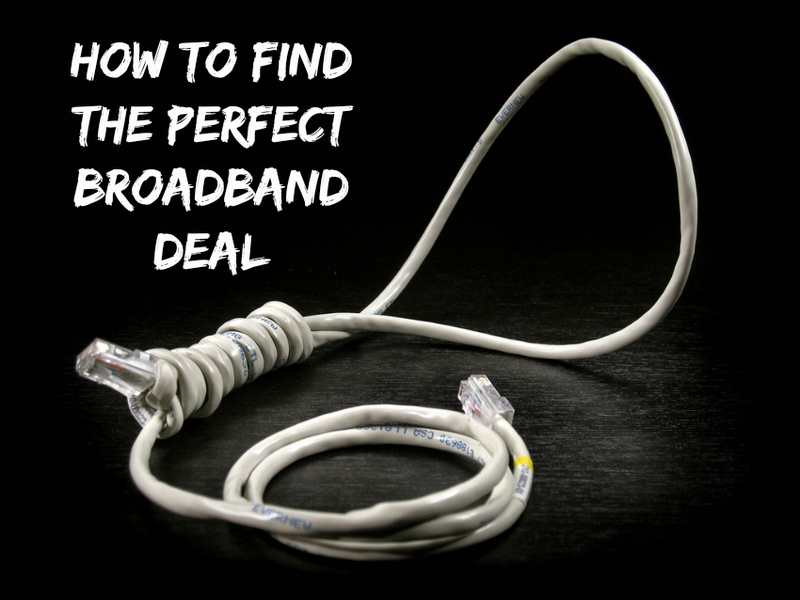 What do you look for in a broadband provider? This is a promotional post with an image from Don (via Flickr). An informative post! There are so many packages out there now, they all look great with everything that is included… always hard to choose which is the best to plump for! I have been with the same provider for years and the thought of changing fills me with dread, the paperwork, the switch over all of the caboodle puts me off. However I do need to change as I am paying WAY over what I should be where new customers are slung everything, even the kitchen sink to come on board. Definitely consider how you use broadband! With three teens in the house addicted to Netflix we had to make sure we got “Unlimited”! A costly mistake if we had got that wrong. A very useful post. As thrifty as I am when it comes to all the other utilities I have to admit that the idea of swapping broadband provider is one which fills me with fear as I find it so hard to compare all the different options and packages.